Football has always been one of the world's most entertaining game ever, and it has really captured the attention of billion audience. The 2014 FIFA World Cup is few hours ahead as millions of fans are already in Brazil to watch the match Live. Today's stroll, I would highlight the 10 Best Android Apps for Football Lovers. With the Apps I would be highlighting below, it would help you with latest football feeds, previews and even Live matches as the case may be. 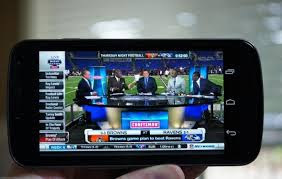 Apart from the world cup matches, these apps also gather general football informations ranging from the Spanish La Liga, English premier, Italian Series and so many other leagues. Supersports is a great Android app that generally issue latest feeds on all sport niches. It's user's interface is really enjoyeable and it provides live videos for Football, Cricket, Rugby and many more. - It's update section is a Real-Time Update, which displays livescores, match updates, commentary and many more updates. - It also achieves of Live chat, where you can chat with other fans. This is also cool android app that is meant for Football niche only. It's always updated with the latest football news, results, livescores and many more. It's has a nice profile page with intense statistics and facts, customisable notifications for unlimited matches and teams and it also allows room to connect and chat with friends and other fans in the zone and many other features. Sky Sports Live Football is another cool Android App for Football lovers that is always updated with Live Football scores. It also show match coverage of every game in both scotland and England, with live text commentary, Player photos, team line-up formations, In game notifications, league tables and stats. This is another cool Android App that I'd recommend for football lovers. With Forza soccer, you get to know latest video highlights, livescores, push notification included and opinion poll is also involved, which helps you share opinion and idea about your team with their fans. In terms of livescores display, this app is best. They are the first Live scores service powered by livescores.com since 1998. With this app, you get to know the latest scores of over 100 Live matches that is followed every week of it's season, detailed information, time and date localization and many more features. Seems Like almost all the Android Apps for Football Lovers achieves same features except for that of Supersports, Euro Sports Player and few others that enables streaming of live matches. I would simply metion the remaining Five Apps for you guys. With the help of the Android Apps mentioned above for Football lovers, bet me, you'll always be updated with the latest sporting information, livescores, transfer info and so many other related sporting activities.